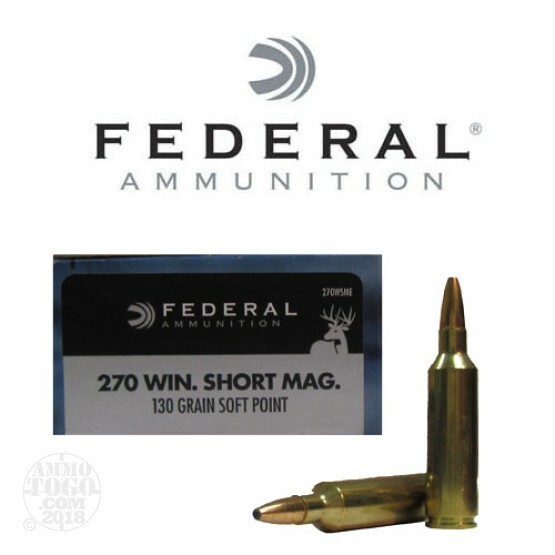 This is .270 WSM Federal Power-Shok 130gr. Soft Point Ammo. The Power-Shok bullet is built with an exclusive hot core process that eliminates the lead oxide layer that can cause core slippage. In addition the unique jacket profile and fluted tip ensures reliable expansion over a wide velocity range. With a velocity of 3250fps and an energy of 3049ft-lbs., this round is perfect for medium-game hunting expeditions. This ammo comes packed in 20rd. boxes.